Operations Director, David Rose brings a similar balance of precision and strategic vision. The precision shouldn’t surprise us – David is a world-class rifle shot and has toured the USA, Canada, South Africa, New Zealand & Australia, West Indies and The Channel Islands with the Great Britain Rifle Team. 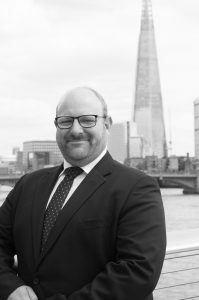 This isn’t just a point of professional pride for David, it is a boon to our clients – the utterly smooth running of our business frees our consultants to focus exclusively on them. They have no distractions and every possible resource at their disposable in ensuring their clients’ needs are met thoroughly and with minimal disruption.